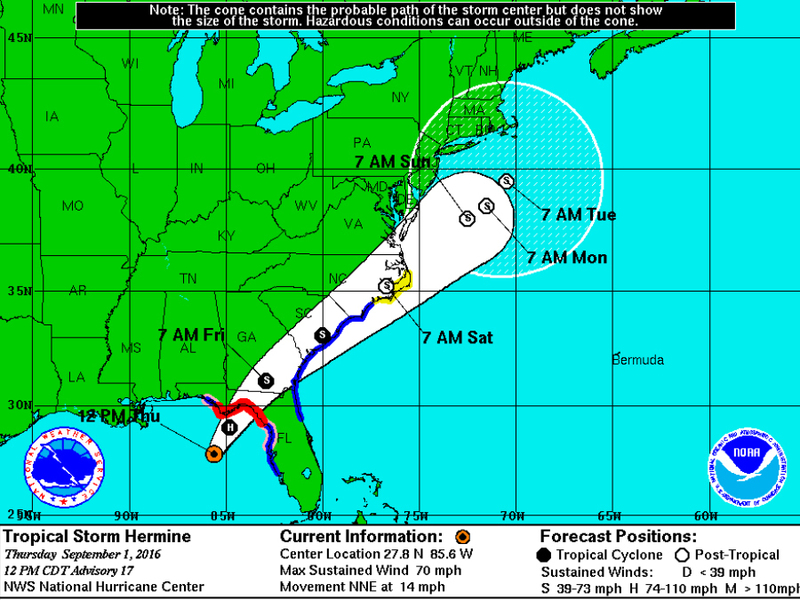 Flooding rains and life-threatening storm surge are the main threats associated with Hermine according to the National Hurricane Center. Tropical Storm Hermine is picking up speed toward Florida after nearly a week of remaining almost stationary or moving extremely slowly in the Gulf of Mexico. It's also becoming more organized and gaining strength, so it could make landfall near Florida's Panhandle as a weak hurricane late Thursday night or early Friday morning. As Florida is bracing for impact from a storm they've been watching for nearly two weeks, Hawaii appears to be dodging, not one, but two different hurricanes. Hurricane Madeline passed just south of Hawaii's Big Island before weakening into a tropical storm. 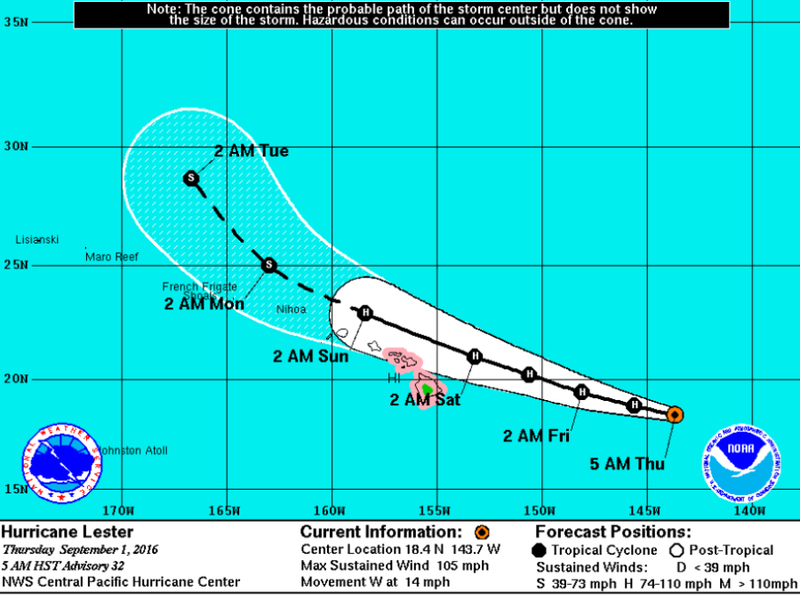 Next on tap is Hurricane Lester, which is expected to veer just north of Hawaii on Saturday as a hurricane. This hurricane activity isn't likely to slow down in the coming weeks, either. There is another disturbance in the Atlantic that could approach the United States as early as next week, and two more disturbances are currently in the Pacific.